The most decorated soccer player in Springfield history graduated from Griffin High School in 1984 after having spent 10 years playing in YMCA leagues. He was a walk-on at Western Illinois University and wound up in the school's Hall of Fame, earning second-team NCAA Division I All-America honors as a senior. He was a center-midfielder and forward who went on to a 13-year professional career that ended in 2001 during which he played in more that 500 pro matches, and his career took him to over 30 countries. He appeared in 13 matches in the 1990s for the U.S. national team and played in two World Cup qualifying matches but didn't make the final rosters for the 1990 or 1994 squads. When he retired at age 35, he was with Major League Soccer's Dallas Burn. He was drafted by the Burn third overall in the inaugural draft in 1996. Other career highlights are winning the Canadian Soccer League's Golden Boot award for scoring the most goals, playing for American Professional Soccer League championship teams and earning all-star and MVP awards in the National Professional Soccer League. 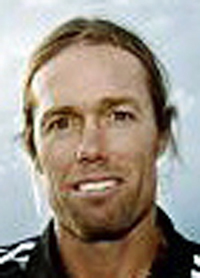 He is currently the head coach of the Los Angeles Galazy Youth Academy's under-12 boys team. Before trampoline was an Olympic sport, the 1975 Southeast High School graduate was one of the best in the world. She won her first trophy in gymnastics as a 12-year-old Edison Middle School student in 1969, and during a career that spanned five seasons she won 21 different championships before turning professional in 1975 and then becoming a coach. She was a three-time national champion -- Mid-Winter Nationals AAU age group (1969), Central AAU Junior championship trampoline (1969) and AAU Junior National champion (1971) - and won a world championship in synchronized competition in West Germany in 1972. She earned All-America status in 1971 and 1972. She finished second in the world age group championships in London in 1973. In 1975, she served as coach when her sister Shelly won the world age group title, and in 1978 two of the athletes she coached -- including her sister Shelly -- won world age group championships. The 1978 Southeast High School graduate is part of the first sister tandem ever inducted into the Springfield Sports Hall of Fame. From 1971-78, she saw the world -- and conquered most of it -- as one of the best trampoline athletes in her age group. She was USTA 11-12 age group national champion in 1971 and 1972 and the Junior Olympic champion in 1973. She finished third in her first international competition in 1972. 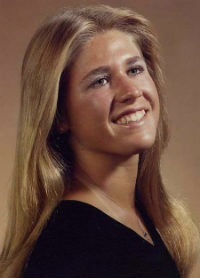 She won four straight AAU national titles from 1975-78, was an All-American in 1975 and 1976 and during her career she competed in places like Russia, South Africa and West Germany. She was featured in Women's Sport Magazine and People Magazine during her career. Graduated from Southeast High School in 1974 after a standout high school career in football, basketball and track. Earned a football scholarship (running back) to the University of Missouri, where Kellen Winslow and James Wilder, among ohers were his teammates. After graduating from Missouri in 1978, he was hired by District 186. He began his coaching career as a high school boys track assistant in 1979, and in 1982 he was hired as the first African-American head football coach in District 186 history. He coached football at Southeast from 1982-86. He also was an assistant boys basketball coach for the Spartans in 1982, and in 1983 he was named head girls track coach. His first girls track team won the City Meet title, and the Spartans would go on to win to 28 more City titles in the next 30 years. His 2009 team finished second in the Class 2A state meet, and the Spartans won Class 2A state titles in 2010, 2011 and 2012. He was Illinois Track and Cross Country Coaches Association Coach of the Year in 2003, 2004, 2009, 2010, 2011, 2012 and 2013. 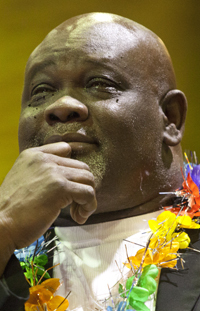 He was named "Man of the Year" by One in a Million, Inc., and in 2012 he was inducted into the ITCCCTA Hall of Fame. He also served as a girls assistant basketball coach prior to his retirement as a teacher and coach in 2013. Football and basketball standout who graduated from Griffin High School in 1978. He earned all-city honors in both sports and was first-team all-state in football during his senior season. A broken leg suffered during his senior football season forced him to miss the basketball season his senior year. Accepted a scholarship to the University of Illinois and was a rotating wide receiver as a freshman in 1978. Also played basketball for the Illini during the 1978-79 season. He transferred to Western Michigan in 1979 to concentrate on basketball, and he was the Broncos' starting point guard for three seasons. He was team captain as a senior and won the Mid-American Conference Senior Award for Leadership and Sportsmanship over his career. 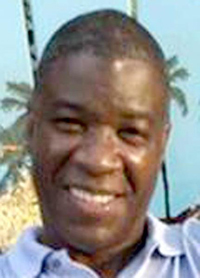 He graduated in 1983 and continued with his education, earning his Executive Masters in Business Administration degree from the University of Illinois in 1994. He currently lives and works in Florida. 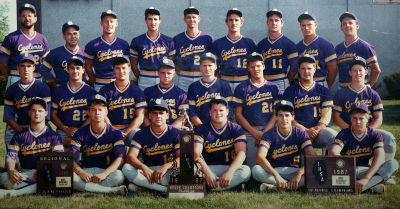 The school's second state championship baseball team set a school record with 37 wins (against just four loses), and by the end of the season the Cyclones were ranked No. 9 nationally by USA Today. Griffin outscored three state finals opponents 30-4, beating Chicago Vocational 14-1 in the quarterfinals, Belleville East 7-2 in the semifinals and Barrington 9-1 in the title game. Team members were Chris Bax, Greg Bernet, Mike Bolin, Jeff Borski, Robbie Fix, Eddie Gresham, Tim Hull, Donnie Hurrelbrink, Craig Jones, Dennis Krackik, Dave Manfredo, Jim McMann, Dan Patterson, Brad Rotherham, Dave Saladino, Jeff Sauer, Bryan Schneller, Jeff Swaney, Rich Weitzel and Terry Williams. Ron Wojcicki was the head coach, and Ed House and Joe Handley were his assistants. The Brownsville, Tenn., native left his mark on the Springfield community for a lot of reasons, most notably his almost 50 years as president and coach of the Springfield Housing Authority Boxing Club. He first developed an interest in boxing when he was stationed in Korea while serving in the United States Air Force in the 1950s. He earned the Far East lightweight boxing title and when he returned to Springfield he was asked by the pastor to help with one of the local boxing clubs, the Cobras. The team practiced on Tuesdays, Wednesdays and Thursdays at the SHA's maintenance facility on Truman Road, and Howell would drive the van to pick up most of his boxers and bring them to practice. He bacame a mentor to the young boxers with whom he worked, including Harvey Richards and Willie Perry. Richards represented the United States at the 1986 Goodwill Games in Moscow, and Perry fought at both the Golden Gloves and professional levels. 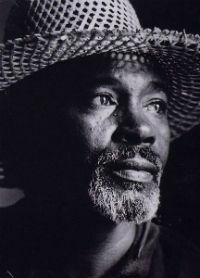 Howell died Feb. 13, 2010. A native of Fairbury, he spent he majority of his youth in Chillcothe and graduated from Rockford East High School in 1952. He came to Springfield in 1972, and Lawless was a tireless advocate for youth sports, especially baseball. 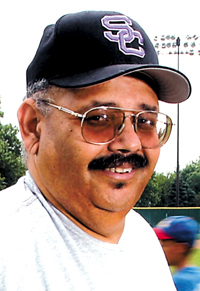 For over 25 years he coached baseball and at various times he served on youth boards of Clark Griffith LIttle League, Southwest Sandy Koufax, the Springfield Area Youth Baseball Association and American Legion Baseball. In 1993, he founded the Aperican Legion Post 32 Springfield Pride Baseball Team for 16-, 17- and 18-year-olds. For 11 years, the Pride played against American Legion baseball teams in top tournaments throughout the Midwest, compiling a 4490204 record. The team played in 45 tournaments, winning 21 titles. More than 100 Pride players went on to play college baseball, and nine played at some level professionally. In honor of his years of commitment to youth baseball, the Springfield Park District named a local park associated with youth baseball David T. Lawless Park in October of 2012. Dave died March 12, 2013, after a long battle with cancer. 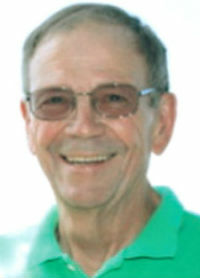 Since 1973, Wally Phelps has been involved in game management for basketball, soccer and baseball, including serving as a scoreboard operator and scorer. It all started in the Springfield Recreation Department's Catholic Youth Organization basketball league, and he also ran the scoreboard clock and/or kept the scorebook in many SRD basketball leagues over the years. He kept the scorebook for the Sacred Heart-Griffin and Ursuline boys basketball teams in the early 1990s, and in 1991 he added the SHG girls soccer, then moved on to Lincoln Land Community College and University of Illinois Springfield men's soccer. He kept the basketball scorebook for Lincoln Land coaches Tony Johnson and Chad Jones after a stint as an assistant women's basketball coach at UIS. He ran the Chamberlain Park concession stand for many years, and in 2001 he started with the Robert Morris soccer program. He also served as scorekeeper for the Springfield College in Illinois baseball team and the Robert Morris basketball and volleyball programs. In addition he served as manager of The Gym of Springfield.